*This is a guide to get your home health care agency started. Please DO NOT contact PRN Funding until your healthcare agency has factorable invoices. Due to the aging of baby boomers and increased life expectancy, the number of senior citizens over the age of 65 is increasing every year. With that comes the increasing need for medical and personal care as well. This offers great business opportunities for entrepreneurs in the healthcare industry. If you’re considering owning a business in the home health care industry, you might be wondering “Where do I start?” Before we get into the necessary steps for starting a home health care agency, what actually is a home health care business? 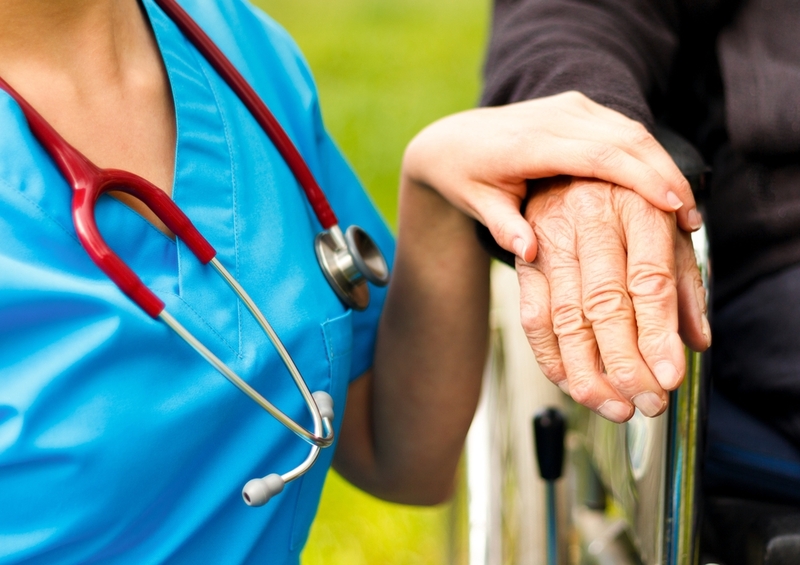 The term “home health care” is fairly straightforward. It basically means that medical professionals or professional caregivers go into individual’s homes and provide some sort of help or care. Medical home health care would be nursing services, wound care, monitoring of one’s health such as blood pressure and mental state. This type of care is needed when someone gets out of the hospital or for senior citizens. Home care that is provided by caregivers is based around the need for basic day-to-day assistance. For example, home care aides will prepare meals, clean the house, help change or dress an individual or drive them to or from doctors appointments. This article will discuss the specifics in starting a medical home health care business that is covered by Medicare, Medicaid and private paid. NOTE: PRN Funding is NOT an authority on starting a home health care business. PRN Funding’s expertise is with invoice factoring. Home health care companies have the ability to factor once they have invoices lined up. Until your home health care company has invoices, please do not contact PRN Funding concerning funding. Step 1: Create a business plan. Executive summary – Explain the basics of your company. Company description – Write the mission and goals of your home health care agency. Services – Describe what services you will be providing. Marketing plan – How will people learn about your business? Decide the pricing of your business as well. Management and organization – Describe the ownership structure of you healthcare business. Operational plan – Explain the facility and staff, as well as supplies you will need to operate. Financial plan – This is where you will write a cash flow projection, balance sheet snapshot and break-even analysis. Step 2: Register with the state. In order to receive payment from Medicare and Medicaid, your agency needs to meet the requirements put in place. Certify your agency by completing your state’s home care application for a license. You will also need to incorporate your business, get your tax identification and register for your NPI (National Provider Identification) number. These requirements for starting a home health care agency depend on a state-to-state basis. Step 3: Obtain Medicare and Medicaid certifications. By obtaining these certifications, your agency will be able to provide health care services such as nursing care, physical therapy, and other services and get paid by Medicare and Medicaid plans. Be aware that this process of becoming accredited can take longer than you think, sometimes even up to a year. To apply and go through the survey process, visit cms.gov. In addition to getting these certifications, some states require business owners of home health care agencies to complete a jurisprudence exam. Step 4: Hire a great staff. Since your home health care business is providing personal service to patients, you want a staff that represents and reflects what you want your business to be. There are many ways to go about hiring the perfect workers for your agency. Many businesses take to social media, for example. Once you interview potential staff members, make sure you conduct thorough background checks to avoid legal action if there is any problem with care from an employee. Step 5: Get your clients. Once you have a business plan in place and your ideal staff lined up, it’s time to get clients and start operating your business. This step is one of the most difficult parts of owning any type of business, especially a service-based business like a home health care agency. You need to have an online presence. Build yourself a basic website to get your information and name out there. There are many free hosts that help you create a functioning website. You can always come back to your website and improve it and edit it as needed, but in order to get clients for your home healthcare business, you’ll need a website to represent your company. Let Google know you exist. Register your healthcare agency with Google so your address, hours and phone number can be accessible for potential clients. This is easy, but make sure you have your website first. Know your differentiating factors. If you have a prospective client, let them know what makes you different and better than the competition. Outline this for your employees and on your website to send a clear brand message. Join local groups and organizations. Show your professionalism and get your name out there by joining local groups and associations, such as the National Association for Home Care & Hospice. Step 6: Have a solid financing plan for growth. PRN Funding does NOT provide startup capital for your home health care agency. However, once you have invoices from customers, PRN Funding may be able to offer your business funding via invoice factoring. Once you start billing Medicare, Medicaid or third-party insurers, the slow payment periods can cause some stress on you as the business owner. Accounts receivable factoring is used by home healthcare agencies and businesses to bridge the gap between payment periods. Invoice factoring allows you to be advanced an amount to pay employees and continue growing your healthcare business. You company will have more money for expenses and take the stress of cash off your mind so you can focus on your business operations.